I had read something about setting the camera to underexpose when shooting in fog, so on this misty morning I tried it out. The 'experiment' turned into one of my all-time favorite shots. Ted Widen is willing to sell this fantastic piece of art. 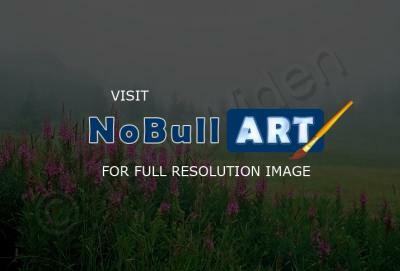 Photo of fireweed blossoms in a misty rural setting. Very calm mood. High-quality photo prints are available in many sizes. Please inquire. This is a magnificent capture!! !